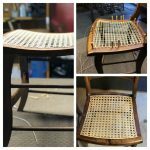 Looking for chair caning repair in Pennsylvania and New York? 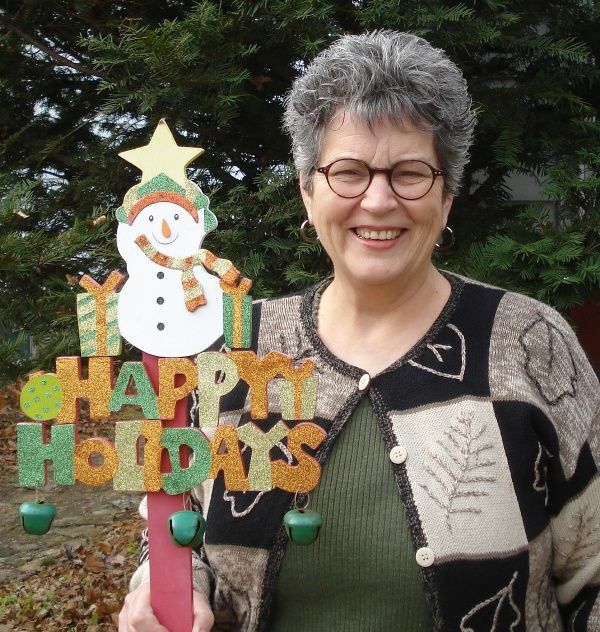 Owner Pam Sloan of Rush Seats chair caning business can help you out there. 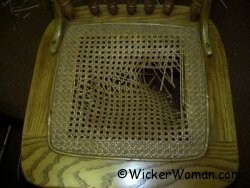 Located in Damascus, PA, Pam also does chair caning demonstrations every Sunday across the state line in Callicoon, NY. 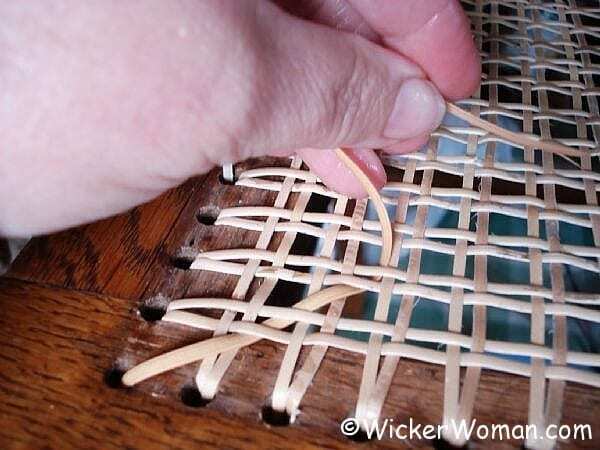 Chair caning demonstrations are not done very often, so if you get a chance to go watch Pam as she weaves the chair seats, by all means take advantage of the opportunity. 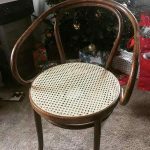 Pam’s Rush Seats business also does small seat upholstery, so be sure to mention that to Pam if you also need some TLC on other furniture. 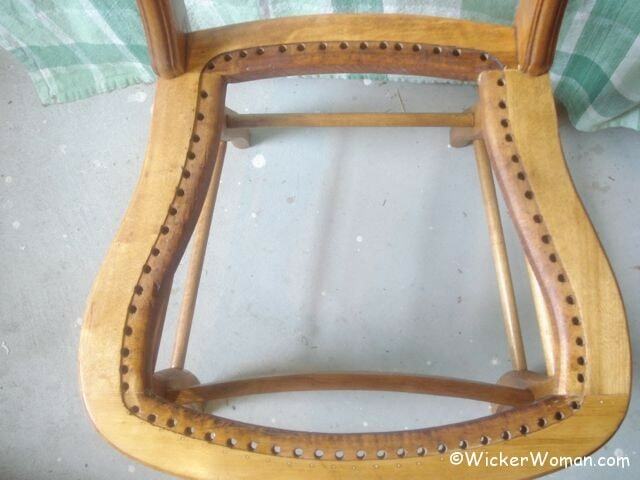 Hi Catherine my husband is turning an old canoe into a bookshelf and is thinking about caning the seat that is in it. 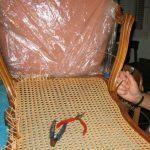 Can you suggest a place to pick up the caning materials he will need? 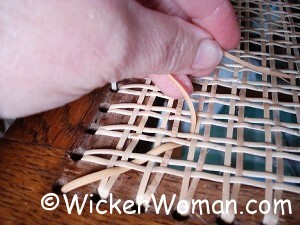 Thanks for asking about where to buy caning supplies. 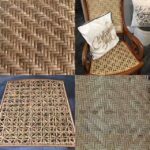 Your husband and anyone else looking for caning materials or basketry supplies can go to my Cane & Basket Supplies Directory™ where you can find over 30 retail supply companies to choose from! 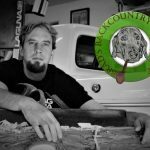 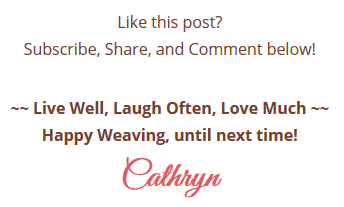 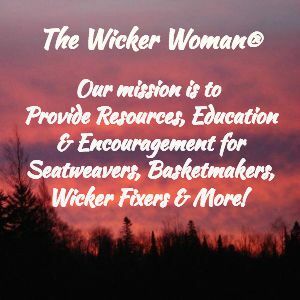 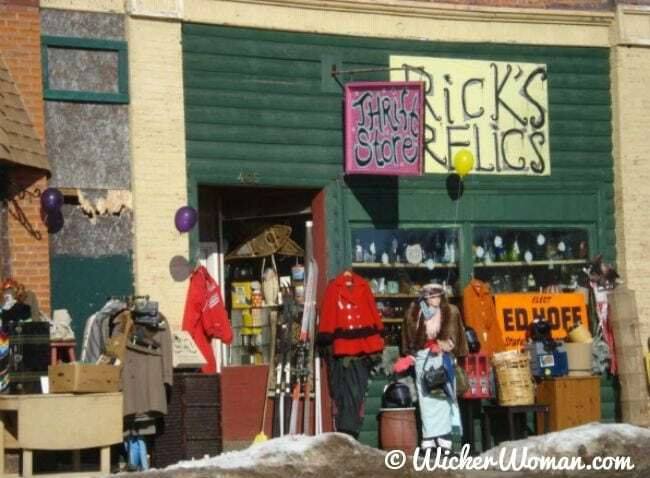 Be sure to tell whoever you purchase from that you found their shop listed on WickerWoman.com, so they know where their advertising is coming from!